In Africa South of the Sahara, where 329 million people lack access to improved water supply and 640 million do not have access to an improved sanitation facility, lack of reliable water services is a major stumbling block for health and nutrition, as well as a constraint for nutrition-sensitive agriculture. Laia Domènech was a Visiting Fellow in the Environment, Production, and Technology Division at IFPRI and is now a Visiting Researcher at the International Center for Tropical Agriculture (CIAT). 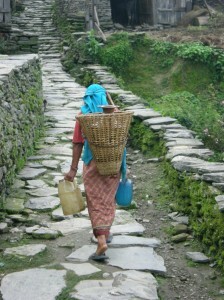 In her recent IFPRI Discussion Paper, “Is reliable water access the solution to undernutrition? A review of the potential of irrigation to solve nutrition and gender gaps in Africa South of the Sahara,” Laia synthesizes existing health and irrigation literature and proposes concrete policy recommendations for designing irrigation programs that advance nutrition and gender equity. In this post on the Gender-Nutrition Idea Exchange, Laia delves into the gender dimensions of irrigation development, recognizing the multiple uses and functions of irrigation for health and nutrition, for which women are key actors. Water, nutrition, health, and women’s empowerment are closely interlinked. Irrigation water can make water access reliable year-round, generating a range of benefits. Reliable water access provides greater availability and stability of food supplies during the dry season, enables crop diversification, including micronutrient-rich vegetables and fruits, and generates income during the lean season. Access to irrigation can also help improve communities’ water supply, sanitation, and hygiene (WASH) and support communities’ health status. 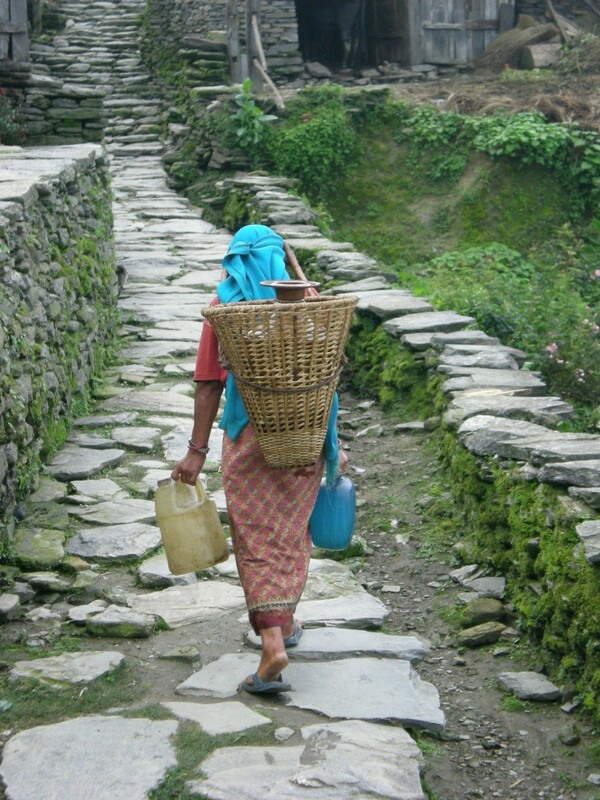 Finally, reliable water access is also an important entry point for women’s empowerment. Women tend to invest more than men in household nutrition, education, and health, and therefore, enhancing women’s access to and control over irrigation can have a positive multiplier effect on reducing undernutrition. In addition to agriculture, irrigation water provides multiple water uses, such as WASH, livestock rearing, and aquaculture. Women are largely responsible for food preparation, childcare and water-collection chores, so improved access to irrigation water can reduce women’s work burden. The time saved as a result of having better access to water can allow women to participate more actively in income-generating, caregiving, and social activities. However, access to irrigation is not without risks: in some cases, irrigation may increase women’s agricultural workload given an extended growing season, or risk other actors dispossessing women of their irrigated plots, since irrigation can raise land value. To ensure irrigation interventions do no harm, adequate protections for women’s work burden and for women’s control over irrigation and land are key. However, women face particular barriers in accessing irrigation. Relative to men, women often have limited access to land, water, labor, capital, technology, information, and other assets, and therefore, they are less likely to access or benefit from irrigation interventions. Men, in contrast, generally have better access to irrigation technologies and own most irrigation assets. As a result, the income generated from irrigated agriculture is often controlled by men and spent according to their preferences. To promote gender parity, irrigation interventions must proactively promote women’s inclusion and participation, especially supporting women to overcome asset-based constraints. When women mobilize inputs themselves and are included in irrigation and water management institutions, they are more likely to benefit from irrigation interventions. Improving home garden production through irrigation can be an important entry point for women’s empowerment because women frequently control home garden production. The micronutrient-dense fruits and vegetables grown in these plots are usually kept for home consumption or sold in local markets and support household and community food security. In contrast, cash crops are usually men’s domain. Improving women’s involvement in cash crop production has potential to enhance household nutrition and welfare if women have a say in the use of income from the sale of cash crops. The IFPRI Discussion Paper “Is reliable water supply the solution to undernutrition? A review of the potential of irrigation to solve nutrition and gender gaps in Africa South of the Sahara” discusses the existing linkages between improved irrigation water access, women’s empowerment, and nutrition. Out of the 27 studies selected for review in the paper, 12 discussed to some extent the gender implications of irrigation and the roles of women in irrigated agriculture. Gender was the main focus in only 4 of the papers selected, which suggests that the gender-irrigation nexus has yet to receive the attention it deserves. To make the most of irrigation interventions for nutrition and health, it is critical to integrate gender into policy design. Most of the irrigation programs included in the review followed a “gender blind” design, instead of incorporating specific provisions to target and empower women. Improving women’s access to and ownership of irrigation technologies and control over irrigated produce would have a positive multiplying effect on nutrition and health outcomes. It is similarly important to secure women’s land rights and improve women’s access to credit and information since both are critical for the promotion of women’s access to irrigation pumps and other irrigation technologies. Finally, irrigation components, such as manual pumps, need to be designed taking into account women’s needs and local cultural norms. Especially in Sub-Saharan Africa, the potential for expanding irrigated agriculture is still very large, as only six percent of the total cultivated area is irrigated. A great number of women and children could benefit from this untapped potential if gender- and nutrition-sensitive irrigation programs were designed. Burney, J., L. Woltering, M. Burke, R. Naylor, and D. Pasternak. 2010. “Solar-Powered Drip Irrigation Enhances Food Security in the Sudano–Sahel.” Proceedings of the National Academy of Sciences 107 (5): 1848–1853. Njuki, J., E. Waithanji, B. Sakwa, J. Kariuki, E. Mukewa, and J. Ngige. 2014. "Can Market-Based Approaches to Technology Development and Dissemination Benefit Women Smallholder Farmers? A Qualitative Assessment of Gender Dynamics in the Ownership, Purchase, and Use of Irrigation Pumps in Kenya and Tanzania." IFPRI Discussion Paper 01357. Washington, DC: International Food Policy Research Institute. Upadhyay, B., M. Samad, and M. Giordano. 2005. "Livelihoods and Gender Roles in Drip-Irrigation Technology: A Case of Nepal." Working Paper 87. Colombo, Sri Lanka: International Water Management Institute. van den Bold, M., A. Pedehombga, M. Ouedraogo, A. R. Quisumbing, and D. Olney. 2013. "Can Integrated Agriculture-Nutrition Programs Change Gender Norms on Land and Asset Ownership? Evidence from Burkina Faso. "IFPRI Discussion Paper 01315. Washington, DC: International Food Policy Research Institute. van Koppen, B., L. Hope, and W. Colenbrander. 2012. "Gender Aspects of Small-Scale Private Irrigation in Africa." IWMI Working Paper 153. Colombo, Sri Lanka: International Water Management Institute. Encourage equal participation between women and men in decision making especially on capital use within their households in order to eliminate cultural beliefs inherited to most African men on deciding on capital use themselves without women participation.